Experience a stylish and practical blockbuster ride when you drive away this summer with your Toyota Vios! 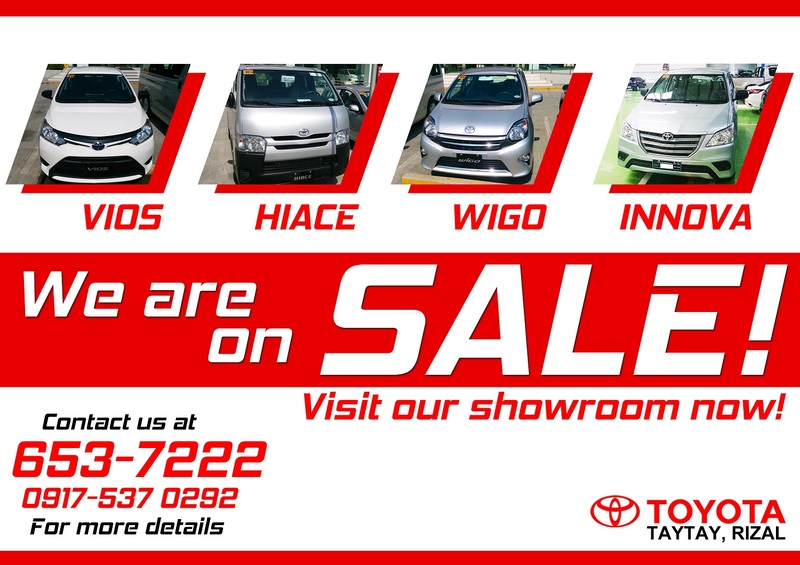 Enjoy LOW DOWN / MONTHLY PAYMENT and HUGE DISCOUNTS when you apply for an auto loan only at Toyota Taytay, Rizal from April 13-17, 2019, 7 am to 6pm. Hurry! Reserve a Vios until April 17 and get a free auto essential item while supplies last.